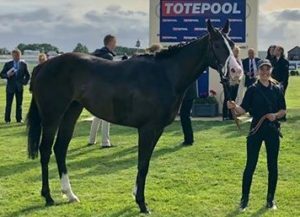 After a fortunate Monday we did not enjoy much luck yesterday as everything that could go wrong did with SWEET PURSUIT at Goodwood. Unfortunately, she slightly missed the break and although she didn’t lose too much ground it meant she was badly placed as they went extremely steadily for a six furlong sprint. Although she absolutely flew home inside the final furlong, the winner had gone and it was certainly a race she should have won. However, it shows she remains in good form and she may make a quick return at Salisbury tomorrow. BIOTIC was not disgraced in fifth at Leicester but the track was heavily favouring front runners and he just could not get involved from off the pace. There will be better opportunities ahead for him. Four runners again today, three at Ffos Las and one at Bath where SPOT LITE is our best chance of a winner. Three-year-old that has done well this year, winning three times, including two handicaps here at Bath. While he has been beaten in his last four starts, he has often had excuses and he should enjoy going back to Bath, especially as he is very well treated compared to some of his rivals on old form. He beat Glamorous Rocket here back in May but is actually 8lb better off (while she has improved and beat him at Windsor – he had no chance from his high draw and there is an 18lb turnaround) and Three Little Birds was behind him at Salisbury two starts back yet carries 9lb more today. With just six runners, it would be great if he could get win number four today. Lost his way after winning amateur events at Redcar and Hamilton last year and has been kept as a schoolmaster for our apprentice Ollie Searle to learn on. They had their first outing at Windsor and he didn’t really get involved so we have stepped him up to seven furlongs for Ollie’s second ride and hopefully he can get in the mix and give Ollie a good experience. Hawridge Storm shaped nicely on his debut over CD despite being very green and he should come on plenty for that initial experience. As a son of Intello, he is likely to be much better next season but a good run would not surprise. Lady Wolf showed ability in her two maidens in the spring and steps up in trip this evening so it will be interesting to see how she fares before switching to handicaps.